This Bio provided by Shelly Barratt - July 2006. 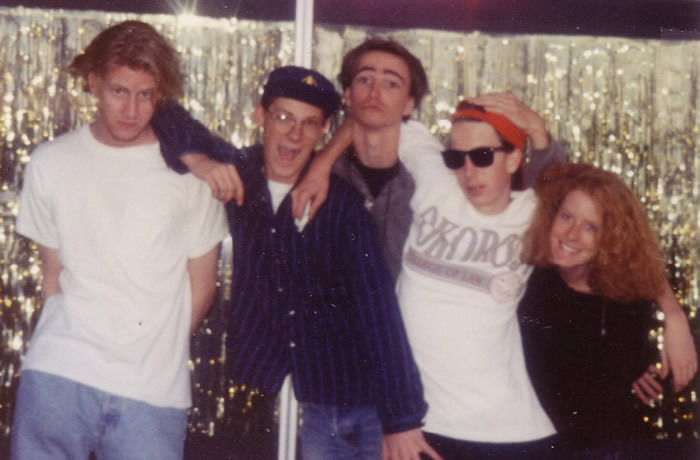 Sub Culture started in the summer of 1988 with band members Jeff Jones, Scot Jones, Neal Langford, Shelley Barratt, and Kristin Burt (I wouldn't have met the band were it not for my friendship with Kristin.). We played our opening show at The Bird of Paradise with covers such as "C'mon Everybody" and "Would I Lie to You?" and originals such as "The Window". Kristin left after a few months to pursue other endeavors, and our remaining 4-piece got serious about becoming "rock stars". We worked hard at our original tunes, and all members contributed to the writing. The shows, practices and eventual entourage culminated in our independent 10-song album "Seed Time", recorded at Quincy Street Sound (yes we were Eric Larsen fans!) and released in 1990. We had our Album Release Party at the building that is now Kelly's on Central. We called it "Club Greengrass" (so named because we called our music "Greengrass" after Jeff said it, actually meaning "Bluegrass", in a seemingly meaningless conversation,) and we counted 300+ through the door. We doubled the Album Release with a Meals on Wheels benefit (where I worked at the time), and we did every bit of it ourselves as teenagers. That was an Albuquerque independent success! Our most popular live tunes were definitely "Christmas in Your Eyes" and "Naked Man". "Sometimes Veronica" was the fav radio tune, played by several local and regional stations as far away as L.A. We were soon courted by several major record labels, most aggressively Geffen. They wanted more recordings to hear how we were progressing. Around that time, one of our close friends, James Mercer, was invited to join the band as we were experimenting with sound, direction and vocals. He came with something new and different to contribute, I was excited about having male vocal additions, and we recorded several more tunes at Winfield Sound studio in 1991. "Black-Eyed Susan" and "Seed Time" were songs that definitely were going somewhere. However, due to what I consider the clash of idealistic young minds and dreams, Sub Culture finally started to grow up and move in different directions; as different as those from which we came- those that created a fine set of music in the moment that was Sub Culture. The band talked about moving "somewhere" together, and I especially needed to GO elsewhere to experience life outside ABQ. For a brief moment, we decided on Nashville, and I dug my claws in- even when the band decided they didn't want to go. 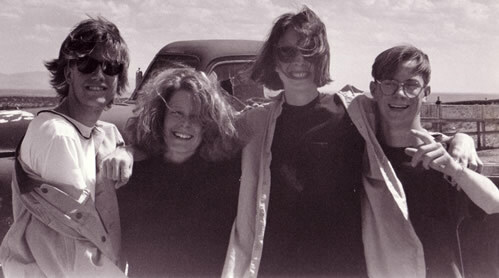 I went away on my own in late 1991, one of the hardest and most satisfying things I ever did. The guys stayed together for a little while as "Blue Roof Dinner" after I left, and then even that disbanded. The Jones brothers moved on in their lives and away from the music scene. Jeff Jones (guitar, keys, vocal) continued his education in Albuquerque, and now does Flash macromedia for various entities. He married a beautiful woman he met shortly after Sub Culture disbanded, and they live happily in the NM area. I am lucky to see him and "jam" with him on occasion- we once wrote some good music together! Neal Langford (bass, guitar) came home to his 1st love: Hot Air Ballooning. He is a certified and sought-after balloon pilot, piloting and hanging out with the pilot I grew up crewing for. Who knows what else Neal is doing these days... regardless, I can't wait to go up in a balloon with Pilot Nealo. Neal and James Mercer started a new project called "Flake", later "Flake Music". Years later, that turned into a side project of James' called "The Shins", and the rest is history. I had the honor of seeing The Shins twice during my time in Phoenix before Neal left the group. It was just like old times, and I was proud of their ABQ music longevity. We all know the success James Mercer and The Shins are enjoying today, though now based in Portland, OR. 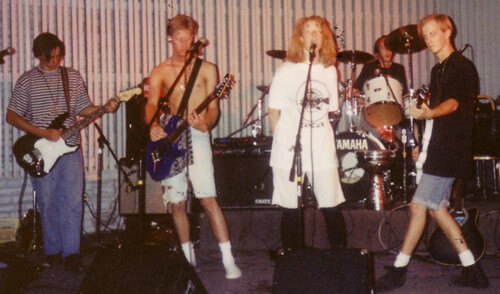 Venues we played: The Bird of Paradise, Atomic Theatre, Sunshine Theatre, Golden West, Beyond Ordinary, El Rey Theatre, The Beach, Downtown Albuquerque, St. Pius, La Cueva, UNM, various UNM fraternities, Club West, Ginny's Cafe, NMSU, CRASH, Amnesty International and more. Bands we played with: Patch of Blue, Rodger Venue, Harriet and the Underground Railroad, Angry Babies, New London, The Ant Farmers, Splinterfish, Living Kind, Primitive Painters, Love Street, Doubting Thompsons, The Violet Hour. Shelley also sang backing vocals on albums and/or live: Strawberry Zots, Bellyachers, New London, American Dream, Patch of Blue, Pepsi Generation. Radio: KRUX, KUNM, KBAC, Rock 108, a Santa Fe station and an L.A. station. Publicity & News: Mic Line, Daily Lobo, ABQ Journal, Blah Blah Blah, local ABQ TV News, local ABQ Cable Channel.